Assistant Professor at Institute of Hematology and Transfusion Medicine in Warsaw, head of the Clinic of Vascular Surgery since 2009. He was one of the pioneers in endovascular surgery in Poland. A President of the Polish Society for Vascular Surgery in years 2016-2018, member of the Polish Society of Plebology and the International Society of Endovascular Specialists. His main interests in medical research are focused on the open and endovascular treatment of abdominal and thoracic aortic aneurysms, including the use of branched and fenetstrated stent-grafts. His work is directed toward the development of modern techniques in endovascular surgery. He designed the first Polish peripheral ballon-expandable stent and is also the inventor of other endovascular devices, produced by foreign medical companies. He works as a principal investigator in many ongoing trials. He thinks the future holds for endovascular medicine. Prof. dr hab. med. Piotr Andziak - Specjalista w dziedzinie chirurgii naczyniowej oraz chirurgii ogólnej. Absolwent Wydziału Lekarskiego Akademii Medycznej w Warszawie, którą ukończył w 1981 roku. Doktorat uzyskał w 1986 roku na podstawie rozprawy pt. 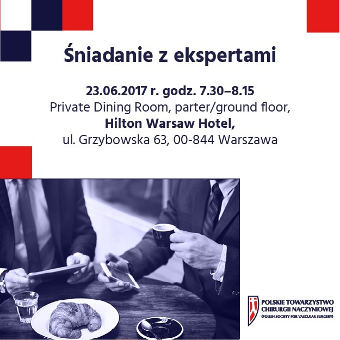 : „Żylaki kończyn dolnych w wybranej populacji dzielnicy Bródno w Warszawie”. W 1993 roku na podstawie oceny ogólnego dorobku naukowego i przedłożonej rozprawy habilitacyjnej pod tytułem: „Badania nad wadami tętnic szyjnych wewnętrznych” uzyskał stopień doktora habilitowanego nauk medycznych. W 1999 roku otrzymał tytuł profesora nauk medycznych. Autor i współautor ponad 170 publikacji naukowych. Od stycznia 2000 roku do chwili obecnej kierownik Kliniki Chirurgii Ogólnej i Naczyniowej Centralnego Szpitala Klinicznego MSWiA w Warszawie. Konsultant krajowy w dziedzinie chirurgii naczyniowej. Zainteresowania naukowe obejmują chirurgiczne leczenie zwężeń tętnic szyjnych i łuku aorty, następstwa niedokrwienia mózgu u chorych ze zwężeniami tętnic szyjnych, przyczyny i leczenie zespołu hyperperfuzyjnego, wpływ morfologii blaszki miażdżycowej na wyniki leczenia zwężeń tętnic szyjnych oraz leczenie zakażeń protez naczyniowych. I have been practicing medicine for more than 55 years and Vascular and Endovascular Surgery for more than 45 years. This is the sum of a lifetime of work and I would not trade one moment of it to have done anything else. I love to teach and have been involved in training medical students, residents and some selected Vascular Surgeons. The same goes for clinical research. Our Vascular Surgery Division at BS&W and the VA have completed 12 FDA IDE projects and many other clinical investigations which have resulted in peer publications or presentations at National and International meetings. Through my association with the International Society for Endovascular Surgery, I have had the unique opportunity to lecture and operate in many countries OUS. These have been extremely gratifying experiences and in some cases have truly improved the level of care available to some local 2nd or 3rd world population groups. I view my time spent working with USAF Parasrescue during the Vietnam war as the pinnacle of my career. It brought me in close contact with a group of persons who would willingly give their all – including their lives, if necessary – to rescue and then care for person(s) in need of their highly skilled services. Member and former Chair of the Vascular Surgery Advisory Board for the National Director of Surgery, VHA. Chief Surgical Consultant for VISN 17. He is involved in administration, teaching and the practice of vascular surgery for the Central Texas Veterans Health Care System and Baylor Scott and White Health for 24 years. He is current in Board Certification in Vascular and General Surgery. He is currently the Editor-in-Chief of the Journal of Endovascular Therapy. Dr. Buckley has 16 years of service with both the USAF MC and the USAF line operations serving as OIC/Surgeon for Pararescue during the Vietnam war and later serving as Program Director for the largest Surgical Residency Program in the US military. Last military assignment was Chairman, Division of Surgery, Wilford Hall USAF Medical Center. Prior to coming to Temple, Texas, Dr. Buckley spent 15 years in the private practice of Vascular Surgery in San Antonio, Texas and was affiliated with the University of Texas Health Science Center and the STVHCS as surgical faculty. Dr. Buckley is married to Shirley G. Buckley, MSN, RN. He has three daughters, two sons and three step-daughters. One son is currently the Program Director for the Emergency Medicine Residency at BS&W Health. He has seventeen grandchildren. Dr. Buckley is a member of many prestigious professional organizations. He is a Fellow of the American College of Surgeons, a Distinguished Fellow of the Society for Vascular Surgery, Past President of the Texas Vascular and Endovascular Surgery Society and a member and Past President Texas Surgical Society, to name but a few. He is President of the International Society of Endovascular Specialists. Dr. Buckley has authored over 70 peer-reviewed articles, 6 book chapters and has been Co-Guest Editor for Seminars in Vascular surgery on three occasions. He is and has been an invited lecturer and visiting professor both nationally and internationally on more than one hundred occasions. Dr. Buckley spent 16 years in the USAF and 10+ years serving the VHA. General & vascular surgeon, professor of surgery. Head of the Chair & Clinic of General and Vascular Surgery, 2nd Faculty of Medical University of Warsaw. The founder member of the Polish Society for Vascular Surgery, member of the Polish Society of Phlebology, Society for Vascular Surgery. The past President of the Polish-French Association of Angiology 2000- 2008 and honorary member of the College Francais de Pathologie Vasculaire. Regional Consultant in vascular surgery for the masovian district. His professional and scientific area of interest comprise all the aspects of open and endovascular therapies for carotid, arterial, aortic diseases and venous disorders. Dr. Frank J Criado is a Board-Certified Vascular Surgeon and Endovascular Specialist at MedStar Union Memorial Hospital in Baltimore, Maryland – USA. He trained in general surgery in Baltimore, and then moved to Houston, Texas in the early 1980s to become a Fellow in Cardiovascular Surgery at the Baylor College of Medicine-Methodist Hospital under Drs. Michael DeBakey and Stanley Crawford. Dr. Criado is widely recognized to be a pioneer in endovascular therapy, and a major presence at most major vascular and endovascular congresses and events in the U.S. and around the world. He has contributed extensively to the literature with more than 170 papers, editorials, and book chapters. He was the Editor-in-Chief of Vascular Disease Management (VDM) from its inception in 2004 until the end of 2013. He has also been very active in clinical research, with a major focus on aortic stent-graft and carotid interventions, and endovascular technologies in general. He was the U.S. National Principal Investigator (P.I.) for the Medtronic Talent AAA clinical trials, and a member of the Executive Committee for the Medtronic Valor and Valor II Thoracic TAA trials. Additionally, he has been a Site-Principal Investigator for multiple other clinical studies testing aortic endografts and carotid-stent systems. He is a founding member and past President of the International Society of Endovascular Specialists (ISES), Founder and past President of the Endovascular Surgery Society of Latinamerica (CELA), and a member of all major US and international vascular and endovascular societies. He is a Fellow of the American College of Surgeons (FACS) and a Fellow of the Society of Vascular Medicine (FSVM), and a member of the Board of Directors of the Society for Vascular Surgery (SVS) – 2007-09, and presently. 23.06.2017 Special Session of the International Society of Endovascular Specialists 14:20 – 14:30 Chimneys, sandwiches, periscopes and parallel grafts can be useful tools: will they still play a role 5 years from now? Dr. Darling oversees one of the largest vascular care networks in the United States. He has participated in over 60 clinical research trials for cartoid disease, arterial disease, open and endovascular therapies for AAA disease, published over 300 papers & book chapters, and lectured extensively around the world. He has held multiple leadership positions in national & regional medical societies, most recently President-Elect of the Society for Vascular Surgery. Board German Heart Foundation e.V. Co-organizer and surgical co-ordinator of numerous national and international meetings. Principal investigator an investigator of several ongoing clinical trials. Experience with numerous studies evaluating medical devices. Graduate of Medical University in Wroclaw. Doctorate degree in 1980 and habilitation in 1995. Professor's title in 2007. The scientific interests cover the whole of vascular surgery, especially the surgical treatment of cerebral ischemia, venous disease. Author 275 publication, editor of 1 book, author of 4 chapters (including two in Germany). He is the promoter of 6 doctoral dissertations, he was assigned as reviewer of 28 doctoral dissertations, 2 habilitation , 1 professor title, and 9 specialization supervisor. Founding member of PTChN, President 2006-08. Founder and now President of Polish-German Vascular Society (1991). In the years 2009-2014 national consultant of vascular surgery . Honorary Member of the Polish, German and Ukrainian Vascular Society. Organizer of many congresses and conferences of these Societies. Scholarships: Switzerland, Germany. Awarded with the Gold Cross of Merit and the Knight's Cross of the Polonia Restituta Order. Dr. Maciej Dryjski received his medical degree from the Medical University of Warsaw and PhD from the Karolinska Institute in Stockholm. He trained in general surgery at Karolinska Hospital, Thomas Jefferson University in Philadelphia and completed fellowship in vascular surgery at the University at South Florida in Tampa. In 1994 he accepted position at the University at Buffalo where he held multiple leadership positions. Currently, he is a Professor and Vice Chairman in the Department of Surgery and Director of Vascular and Endovascular Surgery at Kaleida Health, the largest healthcare provider in Western New York. Dr. Dryjski is the current president of the Association of International Vascular Surgeons, past president of the Western New York Vascular Society, Buffalo Surgical Society and Western New York Chapter of the American College of Surgeon. He published extensively, served on the editorial board of several journals and participated in multiple clinical trials with new EVAR and TEVAR devices. Since the beginning of his career bound to the Department of General and Vascular Surgery in Poznań. His professional and scientific area of interest comprise all the aspects of vascular surgery such as aortic aneurysms, diseases of carotid arteries, chronic limb ischemia and endovascular treatment of venous disorders. In the years 2007-2009 worked in the University Hospital of Navarra in Spain. Currently a professor in the Department of General and Vascular Surgery in Poznań. 22.06.2017 Session 2. Carotid arteries 12:15 – 12:30 New carotid stents – is it possibile to increase the safety of carotid stenting? Born in Poland, I started medical school in 1979 in Warsaw. In 1982, I immigrated to France and continued the medical studies at the University Rene Descartes in Paris, Faculty of Medicine - CHU Necker-Enfants Malades, where I earned the MD title in 1991. In 1992 I have successfully defended my PhD Thesis in Medicine (thesis president: Pr. Amstutz) on «Neuro-meningal listeriosis in the adult population», with a Jury distinction of a Bronze Medal. I also obtained a Master’s Degree in Statistic Methodology and Statistics in Clinical Research at University Pierre and Marie Curie in Paris (2002) and completed a Fellowship in Phlebology obtaining a Board certification in Phlebology in 2007 at the University Pierre and Marie Curie in Paris: Faculty of Medicine - CHU Pitié Salpetrière. For 15 years I worked in the Institut de Recherches Internationales SERVIER in Paris, as Operational Assistant for Poland, Secretary of French-Polish Association of Angiology (AFPA), Scientific Project Leader, Project Director and Chair of Division for Therapy of Vascular Diseases. In 2007 I moved to the United Sates and joined Mayo Clinic in Rochester, MN. I worked first as Study Coordinator in Cardiovascular Research in the Division of Cardiothoracic Surgery, than as Research Fellow in the Division of Hypertension and Nephrology (Department of Internal Medicine) and more recently as Research Collaborator, of the Gonda Vascular Center, Division of Vascular Medicine. I also served as Consultant of the American Venous Forum (AVF). My most distinguished awards include National award in physiology contest for medical students in Poland, (1981), Honorary Membership of French College of Vascular Pathology (2008), Department of Medicine Outstanding Research Fellow Award (Mayo Clinic, 2011) and Distinguished Fellow AVF Award (2016). I am author or coauthor 17 peer reviewed publications and 6 books chapters. I have also worked as assistant editor of the Handbook of Venous and Lymphatic Disorders (2009 and 2016). Peter Gloviczki, MD, FACS, is the Roberts Professor of Surgery (Emeritus) of the Division of Vascular and Endovascular Surgery at Mayo Clinic, Rochester, Minnesota. He served as Division Chair (2000 -2010) and Director of the Mayo Clinic Gonda Vascular Center (2002 – 2010). He is Editor-in-Chief of the Journal of Vascular Surgery. He earned his medical degree at Semmelweis Medical University in Budapest, Hungary. He is author or co-author of 435 peer-reviewed articles, over 200 book chapters, edited 11 textbooks and has given over 600 presentations. He is Past President of the the Society for Vascular Surgery, the World Federation of Vascular Societies, American Venous Forum, the Society for Clinical Vascular Surgery and the International Union of Angiology. He is honorary member of the the Polish Surgical Society and the Polish Society for Vascular Surgery . 22.06.2017 Session 2. Carotid arteries 11:15 – 11:30 Why carotid endarterectomy remains preferred treatment for good risk patients with asymptomatic high-grade carotid stenosis? Specialization general & vasc surg, angiology. Scientific achievments 173 bibliographic positions. Field of intersest type B dissection of aorta, carotid surgery. Promotor of 15 doctor ‘s thesis . Cofounder and first president of Polish Society for Vasc Surgery. Chair of Vasc Surg Dpt in Pomeranian Medical University in Szczecin. Medical career started in General Surgery Department in Gdańsk, I became board-certified surgeon in 2000. Two years later I started working in the Department of Vascular Surgery of the Cardiac Surgery Department, Medical University of Gdansk. I passed the board examinations in vascular surgery in 2005. In 2008 I started performing endovascular procedures in 2008. I was appointed the Regional Consultant in Vascular Surgery for the Pomeranian Voivodship. 23.06.2017 Session 3. Aortic arch, TAAs and TAAAs 09:00 – 09:15 Is debranching of aortic arch always needed? Absolwent Wydziału Lekarskiego Warszawskiej Akademii Medycznej. Specjalista chirurgii naczyniowej i ogólnej. Doktor nauk medycznych. W latach 1995-2016 asystent, wykładowca, adiunkt w Klinice Chirurgii Naczyniowej i Angiologii Centrum Medycznego Kształcenia Podyplomowego w Warszawie (Szpital Bielański). Od stycznia 2017 Ordynator Oddziału Chirurgii Naczyniowej Szpitala MSWiA w Łodzi. Od roku 1998 samodzielnie wykonujący zabiegi wewnątrznaczyniowe. Dodatkowo zajmuje się ultrasonografią naczyń. Współorganizator cyklicznej konferencji "Powikłania w chirurgii naczyniowej i endowaskularnej." Od 2006 roku członek zarządu Polskiego Towarzystwa Flebologicznego. W latach 2014-2016 członek Zarządu Polskiego Towarzystwa Chirurgii Naczyniowej. 24.06.2017 Case session part 1. Peripheral arteries 10:20 – 10:30 Endovascular revascularization of a lower limb in a patient with multifocal injury of femoral and popliteal arteries – impressive and effective? President of the Danish Society of Vascular Surgery. Professor of Vascular Surgery, University of Southern Denmark. Consultant and Head of Department of Vascular Surgery in Kolding, Denmark. Specialist in thoracic as well as in vascular Surgery after training in Denmark and Australia. Current research areas mainly include peripheral arterial disease, aortic disease and biochemical markers of thrombocyte function. Involved in arranging and teaching at national courses for specialist training and at international workshops of peripheral bypass surgery. Vascular surgeon. Main interest in the treatment of aortic aneurysms, especially endovascular treatment of juxtarenal and thoracoabdominal aneurysms. Pioneer in arch-branch devices usage in the treatment of arch aneurysms in Poland. I’m an author and co-author of 447 publications published in polish and international magazines. 23.06.2017 Session 4. Complex AAA 10:45 – 11:00 What does „complex AAA” mean to me? When do I choose open repair? Professor of general and vascular surgery, angiologist. Current president of World Federation of Vascular Societies and president-elect of Polish Society for Vascular Surgery. Former president of ESVS, EVF, Secretary General of IUA and president of Polish Society of Angiology, Polish Society of Phlebology and Polish Wound Management Association . Former editor-in-chief of Acta Angiologica and current of Leczenie Ran (Wound Management). Main interest in endovascular surgery, screening for AAA, treatment of infected vascular grafts, diabetic foot, postthrombotic synfrom, chronic wound management. Author or co-author of more than 300 medical publications. 22.06.2017 Session 2. Carotid arteries 11:45 – 12:00 Carotid restenoses – how I treat them? Prof. W. Kostewicz specialist in the field of general, laparoscopic and vascular surgery. Academic treacher at the Medical University of Warsaw for more than 30 years. He belongs to the Scientific Councils of the Main Library of Medicine, as well as the jorunals Acta Angiologica and The Physician's Review (pol. Przegląd Lekarski). Supervisor of the Academic Scientific Society of Surgery as well as cyclical student conferences organised under the name Surgical Thursdays. Expert of the State Examination Comission in the field of Vascular Surgery. Scientific achievements: 350 publications. He belongs to more than 20 national and international scientific societies and is one of the founding members of the Polish Society of Vascular Surgery. Between 2003 and 2015, Secretary and Vice President of the Warsaw Branch of the Polish Surgery Society. Since 2014, judge of the Supreme Medical Court. Between 2014 and 2016, president of the Polish Angiological Society and treasurer since 2011. Since 2015, president of the Polish Medical Association. Current President of the International Society of Endovascular Specialists. Performed more than 2,000 EVAR procedures, most of them by PEVAR technique. Performed first PEVAR in 1996. Participated as a principal investigator in PEVAR and LIFE Trial. Principal investigator in MANTA, large bore closure trial. Performed over 1,000 carotid artery stenting procedures since 1995. Participated in 6 CAS trials. Participated in 7 EVAR trials and 3 TEVAR trials. Performed over 500 TAVR procedures. 23.06.2017 Special Session of the International Society of Endovascular Specialists 14:10 – 14:20 The latest advances in large bore femoral artery closure: will pre-close devices become obsolete for large bore sheaths? Dr. Lawson is a physician-scientist, practicing vascular surgery and pursuing basic, translational and clinical research. He is an innovator and leader in the fields of tissue engineering, surgical bleeding, and vascular surgery. Dr. Lawson serves as Professor of Surgery and Pathology at Duke and Chief Medical Officer at Humacyte Incorporated. Dr. Alan Lumsden received his medical degree with honors from the University of Edinburgh, Scotland in 1981. He completed his internship in General Surgery at the Royal Infirmary of Edinburgh. He then moved to the United States, completing his General Surgery residency, clinical and research fellowships in Vascular Surgery at Emory University School of Medicine in Atlanta, Georgia. In 1991, Dr. Lumsden accepted a position as an Assistant Professor of Surgery in the Department of Surgery at Emory University School of Medicine. In 1998, Dr. Lumsden became Director of the Emory Endovascular Training Center and the Emory Venous Clinic in Atlanta. He was appointed Head of General Vascular Surgery at Emory University School of Medicine in March 1999, where he served until November 2001. In December 2001 Dr. Lumsden was named Professor and Chief, Division of Vascular Surgery and Endovascular Therapy, Baylor College of Medicine. In, January 2008, Dr. Lumsden was named Professor and Chairman, Department of Cardiovascular Surgery, Methodist DeBakey Heart and Vascular Center and in January 2009, Dr. Lumsden was named Medical Director of the Houston Methodist DeBakey Heart and Vascular Center, Houston Methodist Hospital, Houston, Texas. Dr. Lumsden has developed an international reputation as a leader in the field of endovascular surgery. His work has resulted in numerous scientific articles, abstracts, books, book chapters and presentations. Dr. Lumsden’s clinical expertise is in stent graft treatment of thoracic and abdominal aortic aneurysmal disease, stenting and endarterectomy in carotid arterial disease, renovascular hypertension, aortoialic occlusive disease, mesenteric vascular and minimally invasive therapy in venous disease. His research interests are in restenosis and developing newer methods of minimally invasive therapy. 53 lata. Absolwent WUM 1988. Lekarz, specjalista chirurgii ogólnej, specjalista chirurgii naczyniowej. Doktorat – 1998, habilitacja 2006 rok. Obecnie Ordynator Klinicznego Oddziału Chirurgii Naczyniowej w Szpitalu Bielańskim. Mianowany na Kierownika Kliniki Chirurgii Naczyniowej i Angiologii CMKP w Warszawie z dniem 1.10.2017. Prodziekan Wydziału Studium Dydaktyczno-Klinicznego CMKP w Warszawie. Główne tematy zainteresowań to chirurgia tętnic szyjnych, obwodowych i tętniaki aorty brzusznej. 24.06.2017 Case session part 2. Carotid arteries 11:30 – 11:40 Long-term follow-up of a rare case of Dacron patch infection in a patient after internal carotid endarterectomy. Isn’t the patient right at times? Following his medical studies at Leiden University, Dr Mees moved to Rotterdam ErasmusMC for his basic and vascular surgical training. He then completed a further specialization in endovascular surgery at the Austin Hospital and Royal Melbourne Hospital in Melbourne, Australia. Since 2014, he is a staff vascular surgeon at the European Vascular Center Aachen-Maastricht in the Vascular Surgery departments of Professor Michael Jacobs. His main clinical interests are the open and endovascular treatment of complex conditions affecting the entire aorta in the thoracic and abdominal cavities. His key areas of research are vascular biology, tissue engineering and novel endovascular techniques. Piotr Myrcha (born in Warsaw, July 13 1964), MD, PhD has studied medicine at the Medical University of Warsaw (1983-1990). Specializations: general surgery (1994) and vascular surgery (2004). Doctor of medicine (1994). Habilitation (2004). Since 2007 he is the Vice Chairman of the Clinic of General and Vascular Surgery, 2nd Faculty of Medicine, Medical University of Warsaw. He is a founder member of the Polish Society for Vascular Surgery and the President of the Polish Chapter of the Society for Vascular Surgery. Piotr Myrcha authored or co-authored more than 70 publications and has given more than 80 presentations on national and international conferences. Sławomir Nazarewski is currently the Head of the Department of General, Vascular and Transplant Surgery at the University Hospital in Warsaw. He graduated from the Medical University of Warsaw in 1985, and received training in general, vascular and transplant surgery at the same institution. His doctoral thesis, which he obtained in 1990, was based on the surgical treatment of PAOD in diabetics. His current research interests include the use of endovascular methods in patients with thoraco-abdominal aorta aneurysm. Dr Nowakowski is a head Department Vascular Surgery AHoP in Chrzanow. He is interesting with treatment carotid disease, aneurysms and new techonologies in vascular surgery. He is participant few international trials for vascular surgery. General & vascular surgeon specialist, angiologist, academic teacher, head of the Academic Department of General and Vascular Surgery; 2008 - 2016 Vice-Rector of Poznań University of Medical Sciences. Since 2008 the Director of the Center for Medical Education in English; 2002 - 2008 Deputy Dean of the Faculty of Medicine II. Since 2006 Regional Consultant in vascular surgery in Wielkopolska; 2014 - 2016 President of the Polish Society of Vascular Surgery. He is involved in international research of the morphological, genetic and biomechanical pathology of thoracic and abdominal aortic aneurysms. Also his scientific and profesional interest are: use of angiogenic therapy in patients with chronic limb ischemia, use the allografts in patients with vascular prosthetics infection, endovascular treatment of peripheral vascular diseases, pathophysiology of chronic venous insufficiency and treatment of angioedema in patients with chronic limb ischemia, chronic wounds. 23.06.2017 Session 4. Complex AAA 11:15 – 11:30 Short or no neck: my tricks to do chimney with Nellix, how does it work? Since October 1975 he was employed as a trainee assistant apprenticeship at the Clinic of Vascular Surgery directed by professor Klemens Skóra. Having finished the postgraduate apprenticeship, he continued working at the above mentioned clinic as an assistant. In 1984 he has got specialisation in general surgery and than in 2003 specialisation in vascular surgery and angiology. The Ph.D. degree in medical sciences he gained in 1984 on the basis of the thesis: Assessment of consequences of ischaemia of a limb caused by injury of the artery with the use of physical and biochemical methods. In 1985 he was appointed the position of an associate professor. At the turn of the years 1981/82 dr Rybak completed training in surgery in the National Hospital of Norway „Rikshospitalet” in Oslo. For six months he worked at the cardiosurgery ward managed by professor Wiktor Hall, the pioneer of the method of venous femoral-knee by-pass „In situ”, the constructor of the heart valve „Hall-Custer”. For the next 9 months the candidate worked at the Gastroenterological Surgery Department, Organ Transplantation, Endocrinological Surgery and Pediatric Surgery directed by professor Audun Flatmark, the chairman of the Norwegian Surgeons’ Society at that time. At that time he was interested in kidney transplants taking part in extracting and transplanting 45 kidneys. The experience gained by dr Rybak was exploited by him in preparing the Vascular Surgery Clinic in Wrocław for starting kidney transplants. While carrying out the training in Norway, dr Rybak went through a course of microsurgery under the direction of professor Sun Lee from San Diego. In 1985 the candidate spent 2 months in the United States of America, where he had an opportunity to get acquainted with the functioning of surgical wards in New York and the National Health Institute Bethesda near Washington. In New York he stayed at the cardiac ward managed by professor David Bregman, co-designer of the aortic pump for supporting heart beating. In 1993 dr Rybak participated in two academic trainings. One at the University of Achen, where he was acquainted with the surgical treatment of vascular deseases in the ward directed by professor Siegfried’a von Bary and the second one in Paris – an intensive course of practical phlebology under the guidance of professor Michel Perrin. In 1995 he defended his postdoctoral dissertation entitled: Own method of diagnosing illnesses of the venous system of lower limbs. Since 2010 professor Zbigniew Rybak has been the Head of the Department for Experimental Surgery and Biomaterials’ Research of the Medical University in Wrocław. In the years 2012 and 2013 he took part in the Polish-American Forum VAIL concerning cooperation in the field of computerization of medical processes and regeneration medicine. During these meetings he presented a paper on regeneration medicine. In 2014 he stayed at the University of Arizona as a visiting professor where he delivered a lecture on the role of nanohydroxyapatite in regeneration medicine. Jürg Schmidli is a native Swiss vascular surgeon. He completed his training in general, vascular and cardiac surgery. Prof. Schmidli is Head of the largest vascular surgery unit in Switzerland at the Bern University Hospital. His main interests are the treatment of all aortic pathologies, especially dissections and infections, patient security and training and education of vascular trainees. Prof. Schmidli is the immediate past President of the European Society for Vascular Surgery (ESVS) and past chairman of the education and training committee. He is also member of VASCULAR INTERNATIONAL Foundation and School, and currently the president of the executive board of trustees. Dr Serino MD graduated with honors in 1983 by the Catholic University School of Medicine in Rome and completed his residency in general Surgery in 1987 by the Department of Surgery of the University of Rome “la Sapienza”. He became in 1987 Assistant professor of Surgery at the Catholic University, working in the department of Substitutive and Transplantation Surgery of the University Hospital A. Gemelli in Rome, where he co-founded the first diabetic foot multi-disciplinary programs in Italy with Prof. Giovanni Ghirlanda. In 1989 he was invited as Visiting Assistant Professor at the University of Texas of Houston, focused in a research and clinical transplantation program. He regained his position of Assistant professor of Surgery at The Catholic University Hospital in Rome where he focused on transplant and vascular surgery, founding the first endovascular program and running the multi-disciplinary program on Diabetic Foot in Rome. He joined in 1997 the Vascular Surgery department of the IDI Research Hospital in Rome and set up the endovascular program which lately directed : the center was pioneer in several fields, as the limb salvage and diabetic foot care, aortic endograft surgery , hybrid techniques and gene therapy, launching the first clinical research program on therapeutic angiogenesis. He accounted more than 3000 vascular interventions, was site principal Investigator of 12 clinical research projects, completed 221 publications and presented as faculty in 147 national or international meetings. On research side, he is Scientific Director of the Explora Research Laboratory in Rome since 2010, where he has inspired and directed several European Funded International Projects on Cardio Vascular Tissue Engineering and regenerative medicine ( total fund raising of 17 mil euro) . He was elected Associate Professor, Biomaterials and Tissue Engineering Institute, Composite and Biomedical Materials CNR National Center for Research in 2013 and served as Adjunct Professor and Visiting Professor at NTU,School of Material Science and Engineering of Singapore in 2008-2009 and 2013-2014 . In July 2014 he joined the Cleveland Clinic Abu Dhabi as Consultant Vascular Surgeon. His major clinical interest has always been in Critical Limb Ischemia Treatment and Diabetic Foot Salvage, to which most of the articles, lectures and clinical activity has been devoted. Prof. Walerian Staszkiewicz was born in 1947. Medical Education in WarsawMedical University diploma in 1970. Postgraduate training in first SurgicalClinic under Prof. Jan Nielubowicz. Specialist in general surgery - Ist.1974, IIst. 1979, specialist in vascular surgery 2002, angiology 2003. 1989Associated professor in department of General Surgery and ThoracicDiseases. Since 1995 Head of Department of Vascular Surgery and AngiologyIn Medical Centre for Postgraduate Education. 1999 to 2002 Director of Medical Centre for Postgraduate Education. Professor Walerian Staszkiewicz is acredited author in over 250 publications and 12 chapters of books. Member of many scientific societes and abroad. Scientific Interest: new technics in endovascular interventions, surgery for extracranial cereblar vessers, infections in vascular surgery, influence of antiplateled resistance on vascular diseases and durability of vascular interventions. He recived several honourable awards including Honorary Membership of Polish Society of Vascular Surgery. Wife Jolanta (ophtalmologist), daughter Margaret (clinical psychologist) and three fantastic grandchildren in his free time: art and garden. 24.06.2017 Case session part 1. Peripheral arteries 10:10 – 10:20 Deep femoral artery aneurysm – which treatment method? Małgorzata Szczerbo-Trojanowska is Professor of Radiology, Chairman of the Department of Interventional Radiology and Neuroradiology at the Medical University in Lublin. She is a founder of the Polish Society of Interventional Radiology. Her research work has shaped clinical practice mainly in the field of vascular and interventional radiology. She was awarded by honorary membership of the seven radiological societies including the Seldinger Society of Interventional Radiology and RSNA. I was the head of Department of General, Vascular and Transplant Surgery of the Medical University of Warsaw (until 2014). My main achievements are popularizing the intravascular method of treatment aorta aneurysms including branched and fenestrated stent grafts, performing with my team the first in Poland successful pancreas tranplantation, reconstructing the cervical part of oesophagus using free segment of jejunum and performing autotranplantation of the kidneys in difficult cases of renovascular hypertension. Dr Tomasz Urbanek graduated from Medical Academy of Silesia in 1992 y. Being the specialist of vascular surgery and angiology he is holds the possiton of associate professor at the Department of General Surgery, Vascular Surgery, Angiology and Phlebology of the Medical University of Silesia in Katowice. Beside the vascular surgery, the main field of interest of dr Urbanek is phlebology including especially the pathogenesis and treatment of the chronic venous diseases as well as the prophylaxis and treatment of venous thromboembolism. Dr Urbanek is past presideant as well as president elect of Polish Society of Phlebology. 22.06.2017 Session 1. Peripheral arterial disease 9:40 – 9:55 Popliteal artery aneurysm – does a safe treatment algorithm exist? 23.06.2017 Session 3. Aortic arch, TAAs and TAAAs 8:45 – 9:00 Aortic arch replacement – frozen elephant trunk or standard? Prof. Dr. Dr. h.c. Wojciech Witkiewicz, Professor of the Department of Vascular Surgery at Wrocław Medical University. He is a Director of the Regional Specialist Hospital in Wrocław (since 1990) and Head of the Department of General and Vascular Surgery (since 1984). He received Doctor Honoris Causa from the Wrocław University of Environmental and Life Sciences. He has organized the 64th Jubilee Congress of the Association of Polish Surgeons (in the 120 anniversary) which was accompanied by first demonstration of the da Vinci Surgical System. As the result of efforts of Prof. Witkiewicz the Regional Specialist Hospital was the first medical facility in Poland equipped in the da Vinci Robotic System (in 2010). Professor Wojciech Witkiewicz performed also the first 100 robotic operations. He has organized the Polish Society of Robotic Surgery in 2010 and became its President. In 2012 and 2016 he was the initiator of the International Congress of the Polish Society of Robotic Surgery in Wrocław. He cooperated with the leaders of regenerative medicine from Yale and Duke University and participated in the Humacyte project – first implantation of a blood vessel into a patient that was grown outside the body. The Regional Specialist Hospital in Wrocław conducted 36 implantations of lab-grown vessels and this was the largest number of such operations performed in one medical center. 22.06.2017 Session 1. Peripheral arterial disease 9:25 – 9:40 Stenting of P1/P2 segment – is it a real Achilles’ heel of vascular surgery? Head of vascular surgery at Nordwest hospital (Frankfurt/Germany) since 1993. From 1983 to 1993 education and work at the University Hospital Frankfurt am Main, Germany (Vascular, Thoracic and Cardiac Surgery). From 1979 to 1983 education and work at Straubing, Germany (Urology and Surgery). For more than 30 years scientific work and publications/presentations in the field of vascular graft infections (Head of the “Commission Hygiene and Infections in Vascular Surgery” of the German Society of Vascular Surgery). Dr Tomasz Zubilewicz, MD, PhD. Head of the Department of Vascular Surgery and Angiology, Medical University of Lublin, Poland. Consultant in Vascular Surgery, Angiology and General Surgery. President of Polish Society of Phlebology, Past President of Polish Chapter of American Society for Vascular Surgery – SVS. Member of Polish Society for Vascular Surgery, European Society for Vascular Surgery, Polish Angiological Society, International Society of Endovascular Specialists. Internships, scholarships and training in: Department of Vascular Surgery, Creteil, Paris, Descartes University, France; Department of Vascular Surgery, Duke University in North Caroline, USA; Department of Vascular Surgery, University of Liverpool, England. Editor in Chief of Acta Angiologica. Vice-Editor of Phlebological Review. Author or co-author of 323 international and Polish publications and congress presentations.